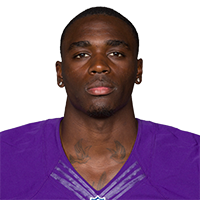 Published: Jan. 1, 2017 at 02:25 p.m.
Chicago Bears running back Bralon Addison fumbles, Vikings recover. Published: Aug. 28, 2016 at 04:08 p.m.
Minnesota Vikings cornerback Mackensie Alexander picks off San Diego Chargers quarterback Mike Bercovici in the end zone. Published: Aug. 28, 2016 at 03:49 p.m.
Minnesota Vikings safety Jayron Kearse intercepts San Diego Chargers quarterback Mike Bercovici and returns it for a 38-yard gain. Published: Aug. 12, 2016 at 10:27 p.m.